Behind uncluttered kitchen doors, hidden and working quietly away are our integrated freezers. Storing batch cooked meals for busy week nights, ice creams for sunny days and joints of meat for special occasions, these appliances are out of sight until right when you need them. Keeping everything on hand is great for home economy too so that you can do a quick check before you hit the shops. 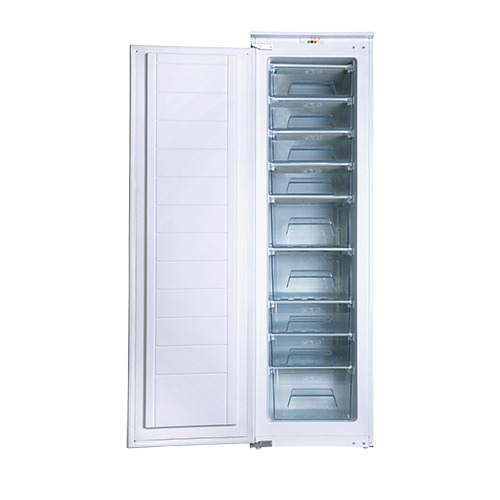 The BZ2263 is a full height A+ rated, integrated larder fridge offering 9 storage compartments, a temperature warning light and an ice cube tray. Its a highly energy efficient and capacious store for your frozen food. 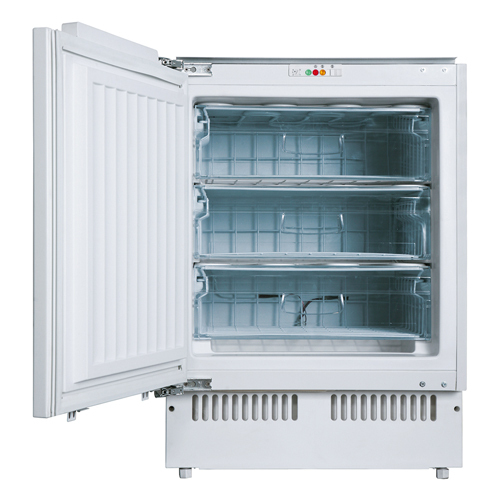 The UZ1303 is a 60cm integrated/undercounted freezer. It features 3 storage compartments, an ice cube tray, a 4 star freezer rating and an excellent A+ energy rating, making it a spacious and energy efficient product.